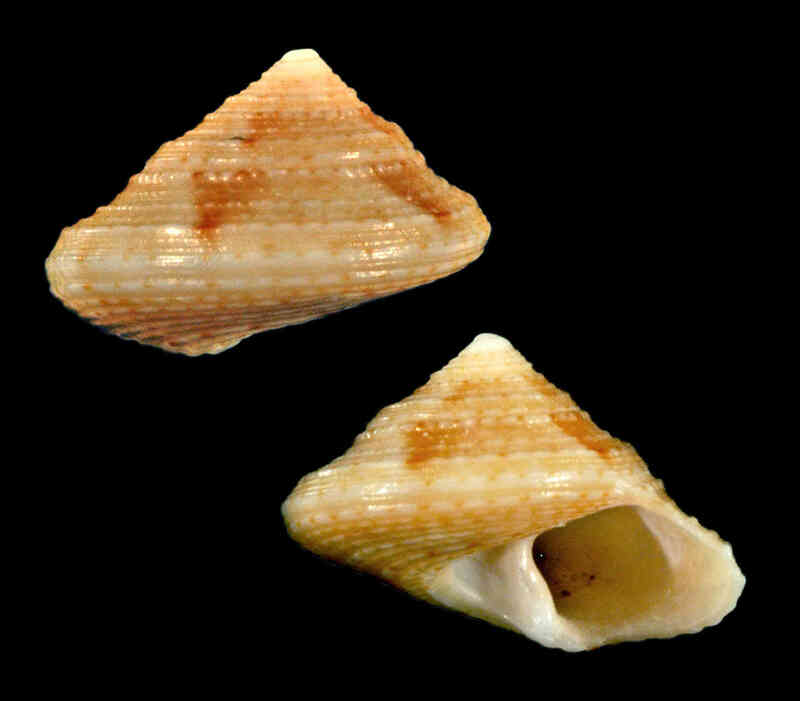 Shell size to 10 mm; shell with relatively low spire. Sculpture of spiral cordlets, 10-12 spiral on last whorl, 3-4 on periphery, 10 on base. Umbilicus deep. Color light brownish- or yellowish-cream, with large flamules of darker color.